Hocus Pocus is a British bred Dutch Warmblood (KWPN) born in 2012. He is an Anglo European Studbook (AES) licensed stallion. His sire is the Team Nijhof’s showjumping stallion Zambesi, out of the famous Heartbreaker. His Dam’s pedigree also boasts top stallions like Vancouver, Silvio I and Concorde. He is bred from exemplary bloodlines and his whole pedigree is of the highest standard with top stallions from all disciplines on both sides throughout the generations. Hocus Pocus was the highest placed show jumping horse at the British Breeding Futurity Evaluation 2015. 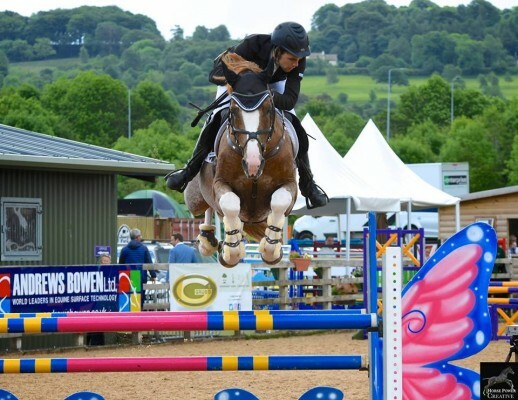 He achieved an elite score of 9.13, making him the highest placed British bred 3 year old in the country, consequently winning the BEF 3 Year Old Futurity Award and qualifying him for the prestigious Equine Bridge Pathway. He stands at 16.2hh and is an eyecatching chestnut with four white stockings and a white blaze. He has superb conformation and paces, an athletic, powerful jump together with a laid back nature and fantastic attitude towards his work. Hocus Pocus is a very promising young stallion with proven bloodlines and tentatively started his show jumping career this summer following a very successful stud season. He was 10th in the National 4 Year Old Championship at Stoneleigh and is now jumping double clears at British Novice with ease. He will be standing at Stallions AI again in 2017 and will be available to a limited number of mares.